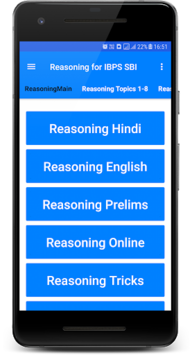 Reasoning app is Helpful for Railway SBI Clerk 2018,SO and even all Competitive Exam. 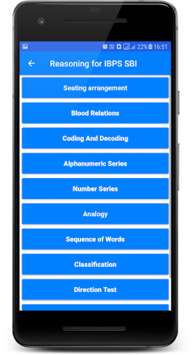 5000+ Reasoning Questions with answer arises. Reasoning Prelims 3 Sets Added. • It’s absolutely free app. • More than 30 topics. • 3000 and above Logical reasoning questions. • Answer with their explanations.